The incredible Liza Minnelli. This woman has seen the heights of stardom like few others have ever climbed. She was born into show business. Her mother was of course the legendary Judy Garland and her father was famed director Vincente Minnelli. As she grew up, the developed her own style and signature celebrity, landing film roles and singing on Broadway, winning an Oscar for Cabaret, and then going on to make even more history. 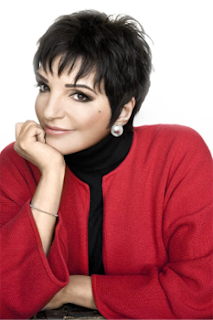 Liza would not be cast in the shadow of her famous mother, nor would she be consigned to a life of keeping Judy’s legacy alive. She didn’t need to do these things. Judy Garland fans world wide are doing that just fine. Liza is a star in her own right and she came to be so on the merits of her own talent. Nobody had to do anything for her. She inherited the genes, but that was all. The rest is history. Liza history. Performing Cabaret live, Liza knocks ‘em dead every time. This may be her signature theme. It’s certainly the one song that nobody else dares to try and take away from her. Cabaret and Liza are synonymous with each other. Just as they should be.